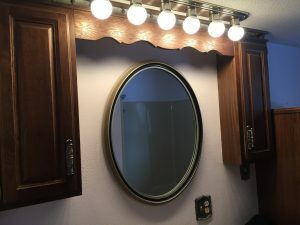 ARE YOU TIRED OF YOUR OUTDATED 1980s BATHROOM FIXTURES STARING BACK AT YOU EVERY DAY? I can help with that. 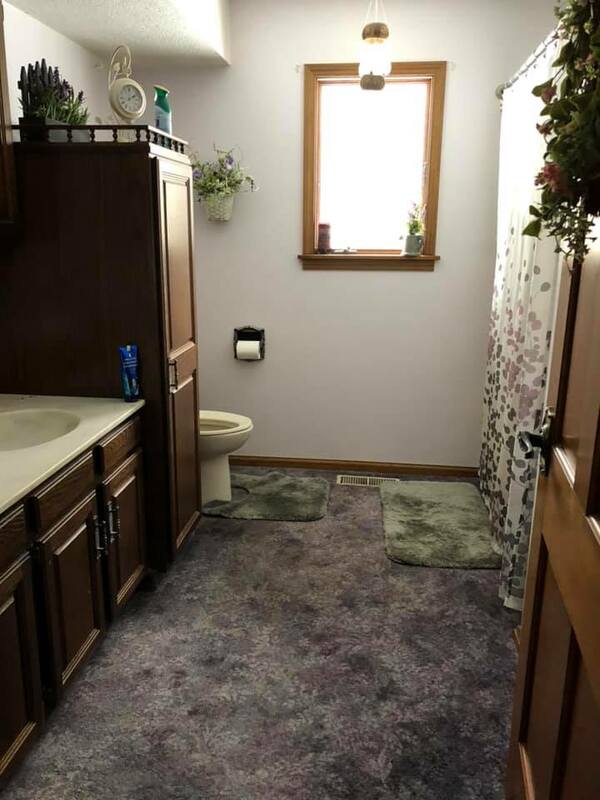 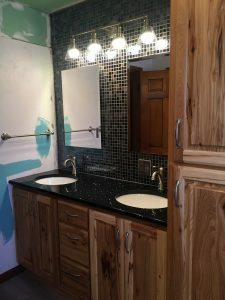 In this particular bathroom remodel, every major area was addressed. 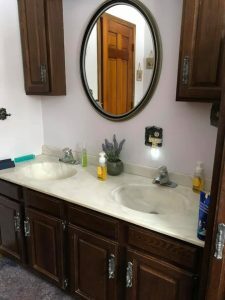 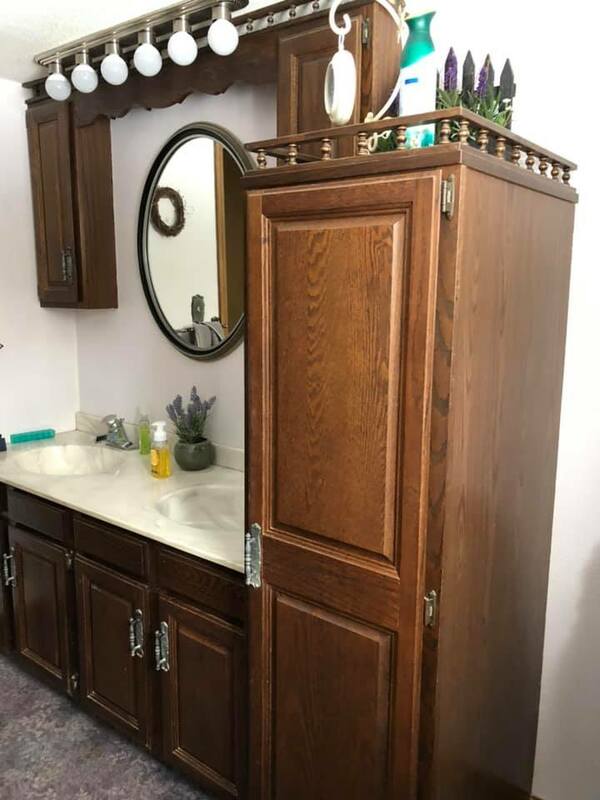 All new cabinets and granite top with under mount sink were provided by Battershell Cabinets of Hicksille, Ohio – nice! My price always includes new quarter-turn shut off valves, stainless braided supply lines, and new poly traps. 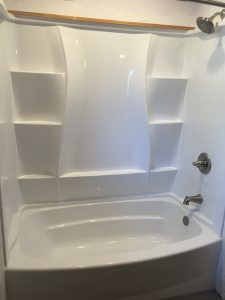 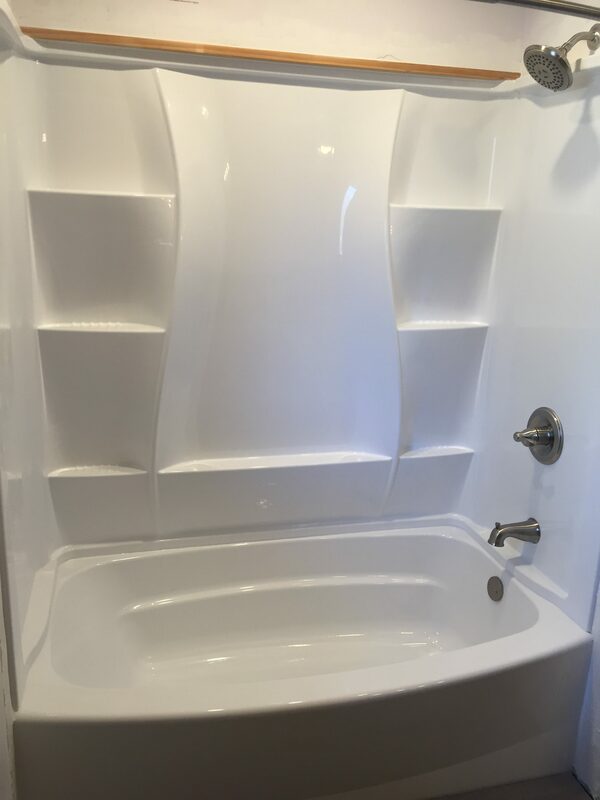 The old yellow fiberglass tub was replaced with a new Delta curved style tub with high-quality nail-to-stud surround and an abundance of shelves – the glossy acrylic surface is super easy to clean! 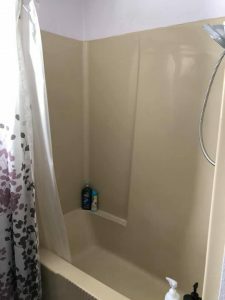 Remember, I install all my showers and tubs in a thick mortar bed to give superior sturdiness and a great feel when you step in. 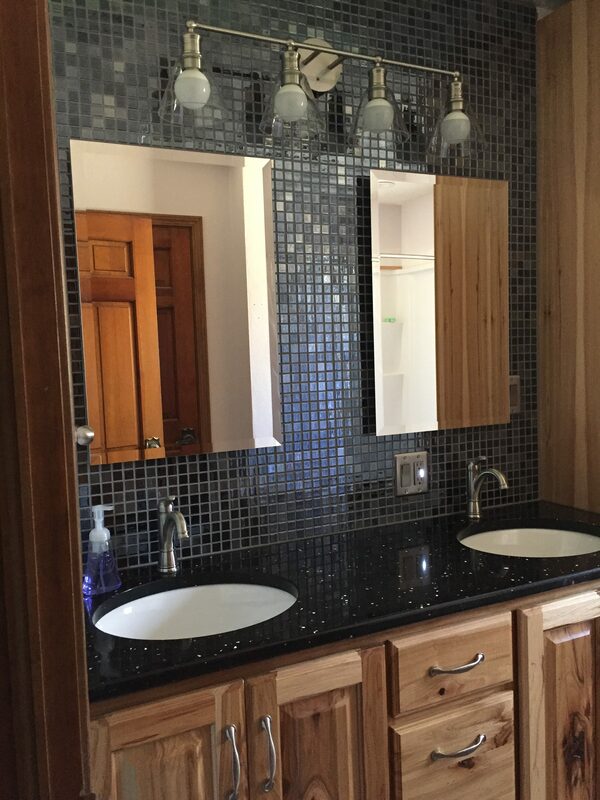 Faucets are nickel finish Delta Porter. 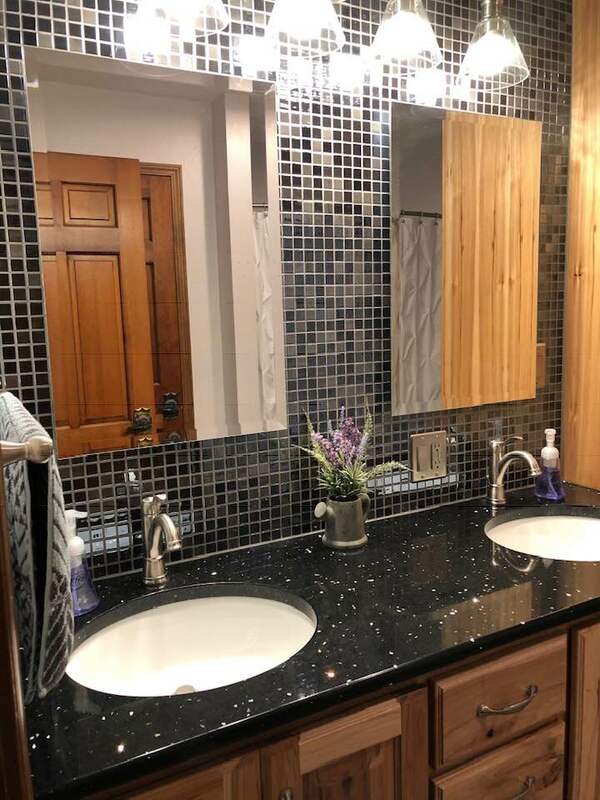 Once the cabinets were in place, we were able to install a sweet Italian glass mosaic tile (Vidrepur) from vanity top to ceiling, topped off with a unique dark grout. 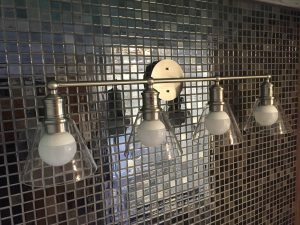 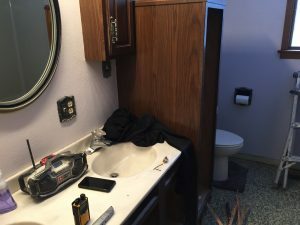 As always, I offer to install new electric switches and receptacles when I do a tile backsplash – it just makes the finished product look that much more compelling (homeowner provides the electrical materials). 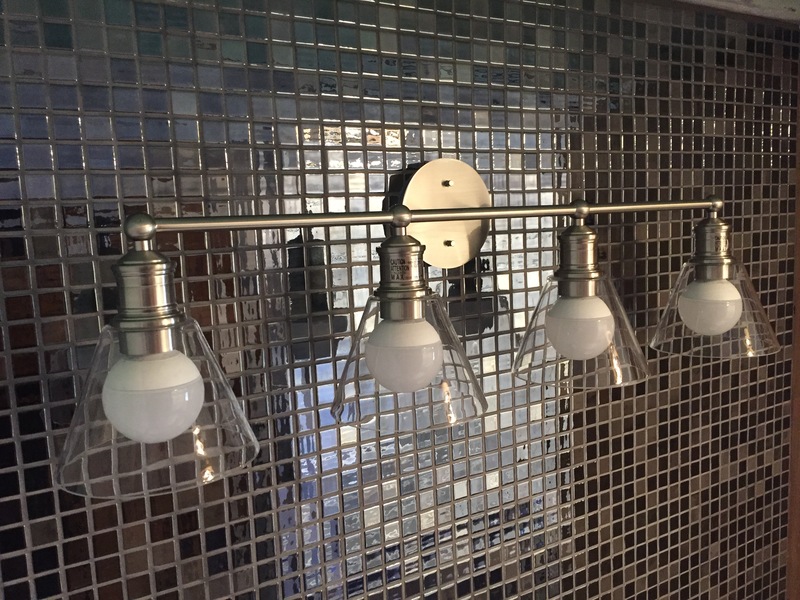 The new 4-light fixture is Carnarm Larken with clear globes, and the mirrors are a floating style (which means they “hover” about an inch off of the wall surface with special brackets) by Delta. 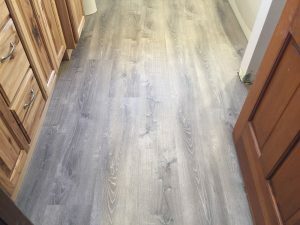 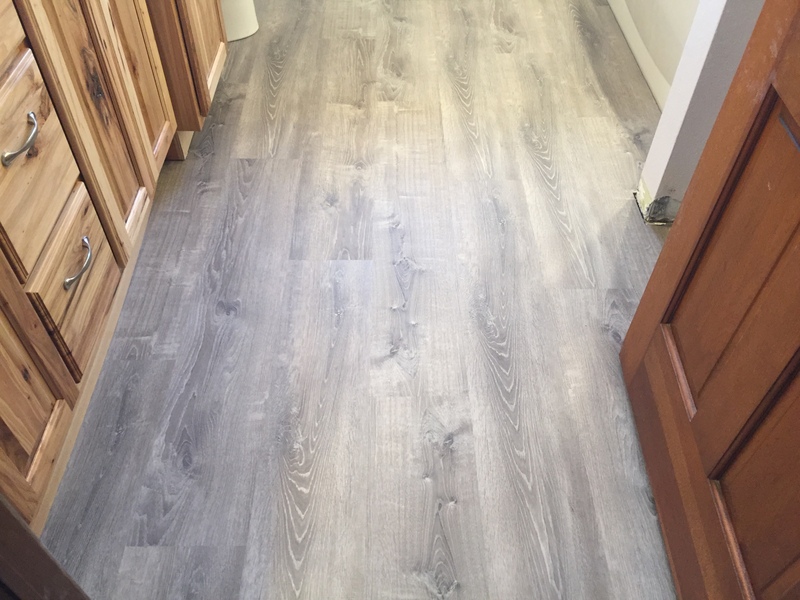 Finally, the old carpet was ripped up and replaced with a high-quality luxury vinyl plank flooring, along with a new pine baseboard. 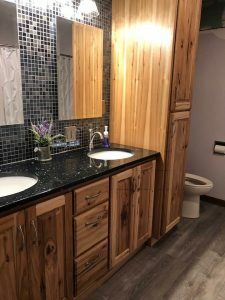 Give me a shout if I can make your bathroom remodel dreams a reality! 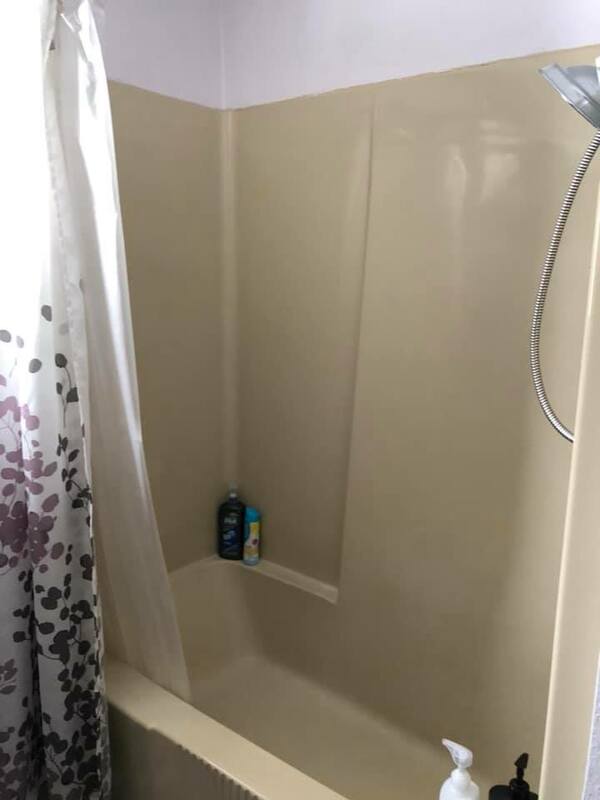 I always offer FREE ESTIMATES: 419-212-3200.